Here we go again: tech executives have found themselves in front of Congress. 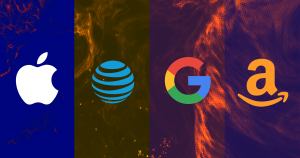 On Wednesday, execs from Apple, Google, Twitter, AT&T, and Charter Communications came before a Senate Commerce Committee to once more discuss mishandling consumer data and concerns over privacy rights. Congress made its intentions clear — it wants to pass federal rules on how tech companies are allowed to handle private consumer data. It’s easy to imagine that this hearing might have gone the same way as the five that came before it — under-informed congresspeople ask softball questions, tech company execs back-pedal, question-dodge, and answer vaguely whenever federal regulation comes up. But this time, things were different. Leaders from prominent tech companies like Apple and Amazon have stated their support for federal regulations that would protect the privacy of user data the companies collect. Bud Tribble, a vice president at Apple and leader of the company’s privacy software efforts said: “We believe that privacy is a fundamental human right, which should be supported by both social norms and the law,” according to Bloomberg. Other tech execs followed suit — albeit in more equivocal terms. At Wednesday’s hearing, Amazon’s vice president Andrew DeVore said the company would agree to federal regulations, but warned of “possible unintended consequences” of strong state law, according to Canadian newspaper the National Post. DeVore fears that strong privacy laws could end up defining personal data as far too all-encompassing, stifling innovation. On it’s face, the shift seems surprising. But these companies might have a different motive than protecting their users’ privacy rights. Silicon Valley holds considerable power over Congress. Part of the reason for Wednesday’s hearing was for Congress to ask tech execs for advice on how to regulate the tech industry, according to the Department of Commerce’s website. Regulation seems imminent. In late June, California passed the Consumer Privacy Act, which gave Californians the right to know who collected what data and ask for that data to be deleted on the spot, while the European Union’s General Data Protection Regulation (GDPR) became enforceable in May. Silicon Valley was generally unhappy with these laws — the California law was unpopular with some tech companies because it they fear it could seriously undermine the revenue they get from selling that data to third parties once it goes into effect in 2020; the companies rushed to comply with GDPR or face some very steep fines. Federal privacy legislation — if it ever solidifies into an actual Bill — is bound to be shaped by the interest of those companies. Congress listens to tech execs, while consumer-level advocacy groups are locked out of the discussions, as Wired points out. If weak federal privacy laws are able to supersede stronger state laws like California’s Privacy Act, they could end up benefiting private tech companies, protecting them from more heavy-handed state laws in the future. It’s in the tech companies’ interest to streamline the process of adhering to privacy laws — it’s easier to comply with a single legal framework, rather than 50 different state laws. A federal law that regulates tech companies may look like a win for the general public on the surface, but we shouldn’t underestimate the deviousness of the companies the laws are exactly intended to rein in. These companies likely see this as an opportunity to avoid having to abide by stronger privacy laws in the future. The post In a Shift, Apple and Amazon Say They Are in Favor of Federal Privacy Regulation appeared first on Futurism.